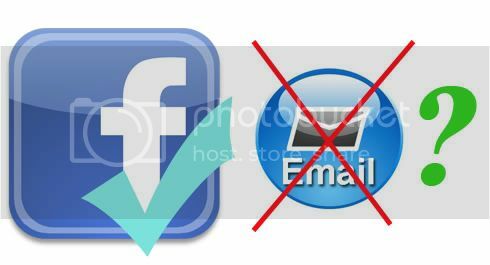 Facebook, founder Zuke Bo declared "e-mail is dead" last month, many people don't believe it. However, now the new data shows that he may be right. British Daily Mail newspaper reported, as cassettes, video and fax, as e-mail usage decline seems irreversible. According to market research firm comScore statistics, young people that under the age of 25, millions of British people have already changed to social networking sites. 3 Great Britain's most popular e-mail provider: Yahoo! Mail, Gmail and Hotmail, with the number of people continues to decline. According to Times obtained the personal user data of the Email, from October 2009 reached a peak number of users, and the e-mail supply side has lost 120 million. Rapid pace of young users prefer instant messaging, online chat more flexible, easier to upload the photos. Sites such as Facebook allow users to know that friends are online, and came to know each other if messages have been received. This could explain why Facebook has been in the UK in January and attracted 1.3 million people to join. What do you think of it? Will e-mail dead and Facebook holds the whole market?